A snarky elitist librarian from Cambridge, Mass. 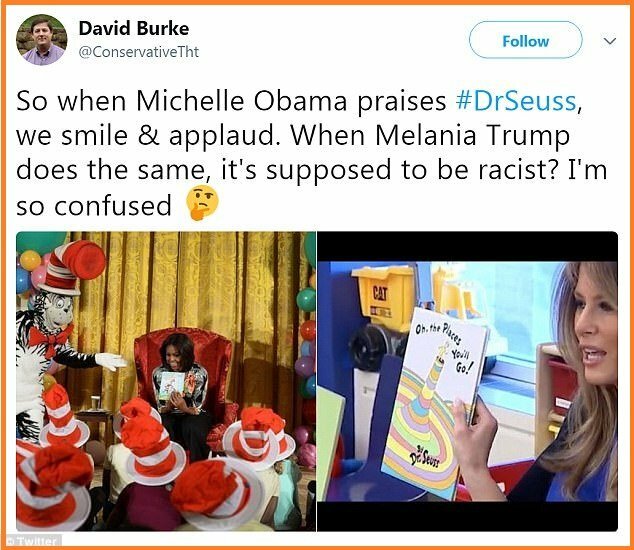 responded to First Lady Melania Trump’s gift of Dr. Seuss books with a condescending screed about how Dr. Seuss is racist – recommending Mrs. Trump should instead gift the (racist) books to underprivileged children. Liz Phipps Soeiro turned down the collection of nearly a dozen books, telling the First Lady that her elementary school was ‘award-winning’ and ‘well-funded,’ before adding ‘You may not be aware of this, but Dr Seuss is a bit of a cliché, a tired and worn ambassador for children’s literature. ‘Another fact that many people are unaware of is that Dr Seuss’s illustrations are steeped in racist propaganda, caricatures, and harmful stereotypes. Within hours of Soeiro’s statements, internet sleuths dug up photos of the rabid liberal educator decked out as the Cat in the Hat in 2015 to celebrate Dr. Seuss’ birthday! 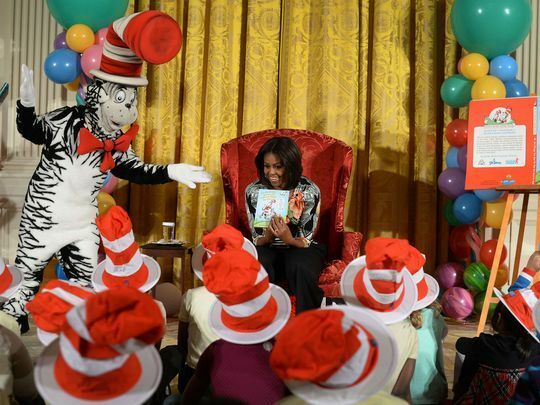 People were also quick to point out that first lady Michelle Obama has read the ‘racist’ books to children for years.